Improving your smile — whether it involves veneers, bonding, or dental implants — is a big investment of time and money. Wouldn’t it be great to view results before you begin the process? 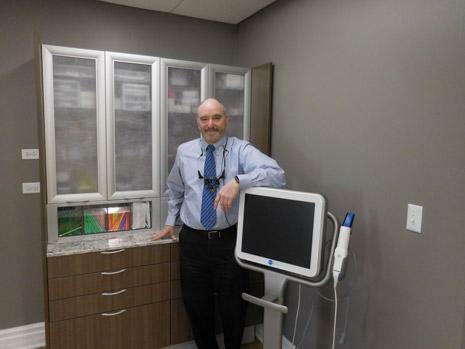 Wright Dental in Barrington, Illinois, is one of the few dental practices in the country to offer Digital Smile Design, a cutting-edge technology that allows you to see the finished product before you get started. To learn more about Digital Smile Design, call Wright Dental or make an appointment online. Digital Smile Design is an advanced planning process that combines dentistry, cosmetic dentistry, and technology to create the best smile for your face. Digital Smile Design uses 3D digital planning to help Wright Dental plan a customized restorative and cosmetic dentistry treatment plan. With this new planning technology, you can make informed decisions about the process in conjunction with your dentists since the technology projects your results on a screen, allowing you to try on or approve different options virtually. How does Digital Smile Design differ from conventional smile planning? In conventional planning for an improved smile or other dental procedures, the dental team takes two-dimensional impressions and bite records, which are sent to a lab to create a 3D model. While the impressions are helpful, knowing more about your facial expressions and lip movements help the laboratory team refine the plan. Digital Smile Design uses digital videos, photos, and scanned digital dental impressions that together help the Wright Dental team analyze your facial and dental proportions to develop the best personalized treatment plan. This new advanced planning process improves communication with the laboratory, patient, and dental team, which reduces processing time and leads to high-end results and increased patient satisfaction. Digital Smile Design begins with a consultation to explain the process and evaluate your dental structures. The Wright Dental team takes digital videos, photographs, and impressions. These combined digital documents are used to create the optimal plan based on your facial features, dental qualities, facial expressions, and desired outcomes. The Wright Dental team creates before and after digital images to help you visualize what you will look like or make changes to the ensure that your outcomes meet your expectations. Once you and the dental team at Wright Dental agree on your plan, the images are sent to a lab that creates the models and products needed to carry out the treatment. This new technology allows for better, quicker, and more accurate communication among all parties involved in creating your new smile. Digital design planning facilitates top-of-the-line results regarding function, appearance, and patient satisfaction. To learn more about Digital Smile Design, call Wright Dental or make an appointment online.